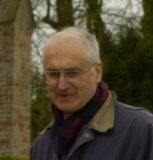 John first came to prominence in the mid-1960s at the wheel of a Diva and later a very rapid Willment-run Lotus Elan. 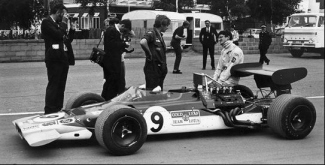 He moved across to the works team in 1967 where he piloted Lotus GT and Formula 3 cars with great success. 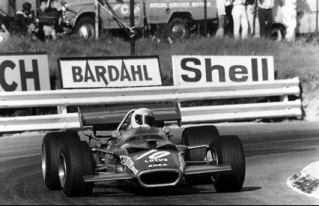 In 1969 he made his Grand Prix debut at the wheel of the 4wd Lotus 63. Despite this car's many shortcomings, he clearly made a good impression on Colin Chapman, who offered him the position of number two driver in the Formula 1 team for 1970, as team-mate to the mercurial Austrian driver, Jochen Rindt. After a promising start at the wheel of the old Lotus 49, John's season went downhill thereafter, a succession of car problems chipping away at his confidence, culminating in a broken brake shaft in Austria and then the harrowing experience of Rindt's death in practice at Monza. Having openly disagreed with Chapman over whether the cars were safe without wings at the Italian circuit, it was almost a relief when he was replaced by Chapman for the final races of the season by Reine Wisell. After a single outing for BRM in a non-Championship race in 1971, together with some sports car races, John retired to pursue a career in journalism and later returned to Lotus, working as a tester on the engineering side of the business. Today he runs his own British jazz music label, Miles Music.